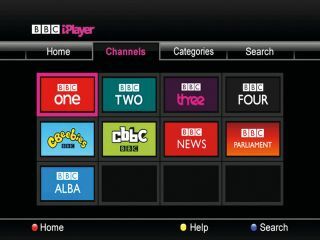 Panasonic has announced that iPlayer will be making its way to the web-connected 2011 Viera TV line up. Unfortunately, even internet-ready older Viera models won't be getting the BBC's much-loved catch up service. Only the 24 new flat-panel Vieras launching this year will be compatible, both LCD and Plasma models, in screen sizes ranging from 32 to 65-inches. iPlayer will be part of Panasonic's cloud-based connected TV service, imaginatively named Viera Connect. As well as iPlayer, it offers interactive games, access to YouTube and Picasa, Skype and Twitter apps. If you have an older Panny TV and are desparate for iPlayer, fear not! You can access the service using a number of set top boxes and some games consoles, including the Nintendo Wii and PlayStation 3.